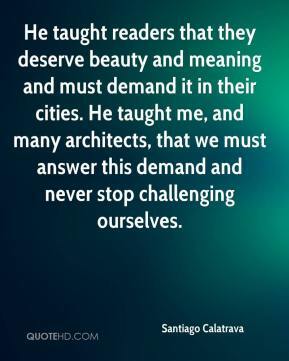 He taught readers that they deserve beauty and meaning and must demand it in their cities. 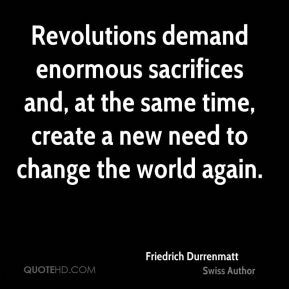 He taught me, and many architects, that we must answer this demand and never stop challenging ourselves. The national policy on faith schools is that, whenever there is a demand from a faith community, there should be a school. 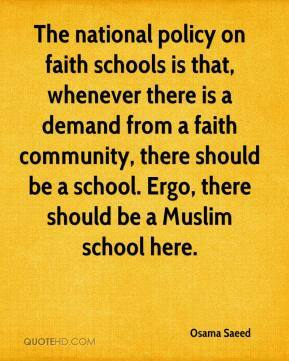 Ergo, there should be a Muslim school here. 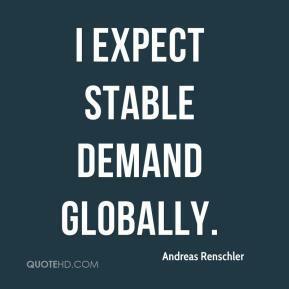 I expect stable demand globally. 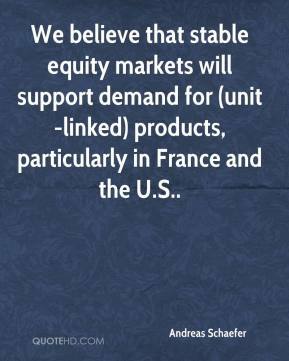 We believe that stable equity markets will support demand for (unit-linked) products, particularly in France and the U.S.. 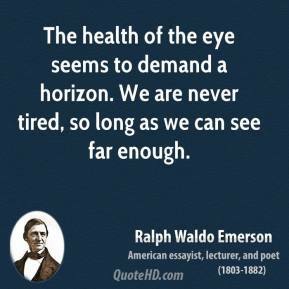 When demand for education began to outpace supply, students were not sent home. 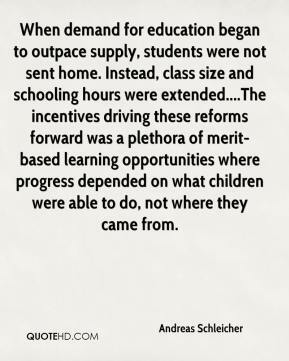 Instead, class size and schooling hours were extended....The incentives driving these reforms forward was a plethora of merit-based learning opportunities where progress depended on what children were able to do, not where they came from. 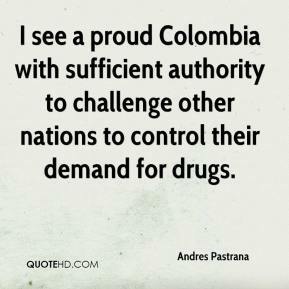 I see a proud Colombia with sufficient authority to challenge other nations to control their demand for drugs. 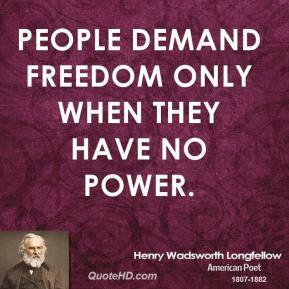 If the U.S. economy slows down, U.S. demand for domestic goods will slow down. 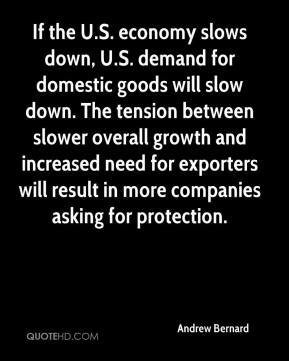 The tension between slower overall growth and increased need for exporters will result in more companies asking for protection. 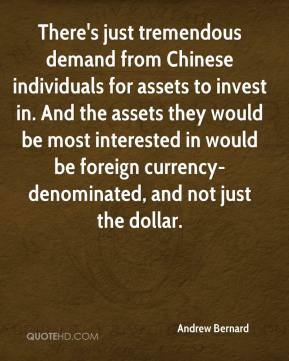 There's just tremendous demand from Chinese individuals for assets to invest in. 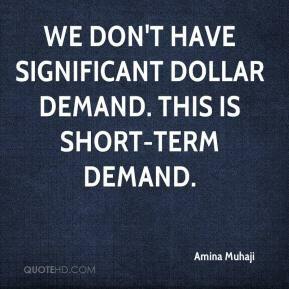 And the assets they would be most interested in would be foreign currency-denominated, and not just the dollar. 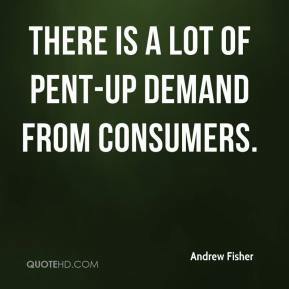 There is a lot of pent-up demand from consumers. 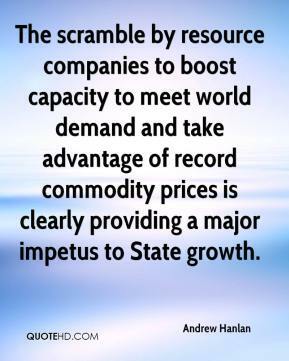 The scramble by resource companies to boost capacity to meet world demand and take advantage of record commodity prices is clearly providing a major impetus to State growth. 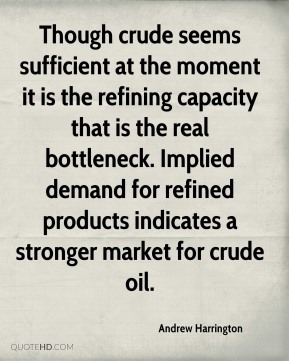 Though crude seems sufficient at the moment it is the refining capacity that is the real bottleneck. Implied demand for refined products indicates a stronger market for crude oil. 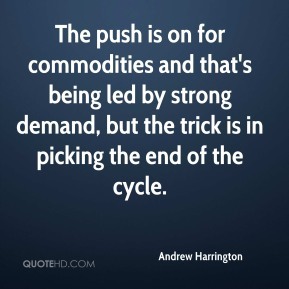 The push is on for commodities and that's being led by strong demand, but the trick is in picking the end of the cycle. 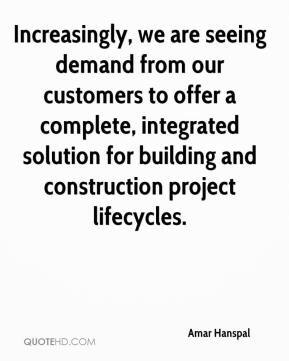 Increasingly, we are seeing demand from our customers to offer a complete, integrated solution for building and construction project lifecycles. That's a bad sign. 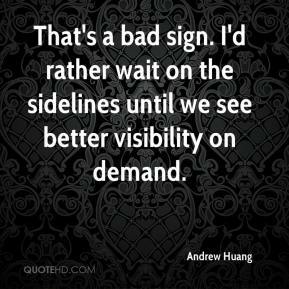 I'd rather wait on the sidelines until we see better visibility on demand. 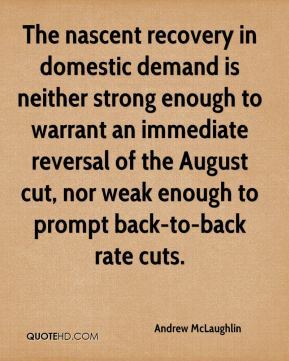 The nascent recovery in domestic demand is neither strong enough to warrant an immediate reversal of the August cut, nor weak enough to prompt back-to-back rate cuts. 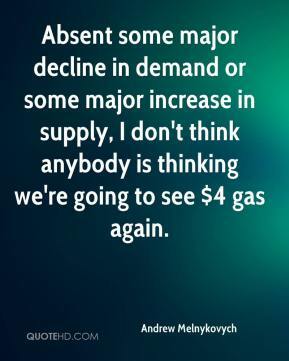 Absent some major decline in demand or some major increase in supply, I don't think anybody is thinking we're going to see $4 gas again. 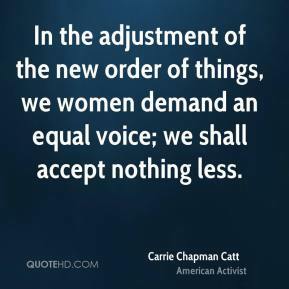 Low and declining inventory levels naturally lead to increased production to build inventories in anticipation of future demand, but in the face of elevated manufacturing capacity utilization rates, increased capital spending will be required to facilitate a rise in output. 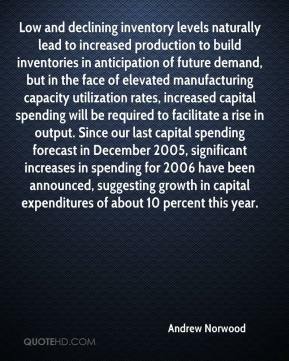 Since our last capital spending forecast in December 2005, significant increases in spending for 2006 have been announced, suggesting growth in capital expenditures of about 10 percent this year. 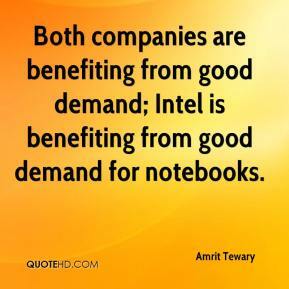 Both companies are benefiting from good demand; Intel is benefiting from good demand for notebooks. 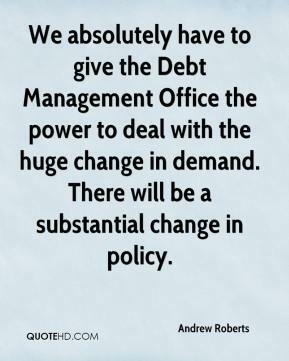 We absolutely have to give the Debt Management Office the power to deal with the huge change in demand. 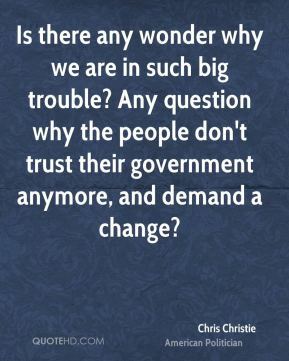 There will be a substantial change in policy.